It’s hard to find big and tall men’s shoes in physical stores. Even online stores with clothes for big and tall often don’t have our sizes. Searching through Google or asking big and tall friends is one option. In these stores, you find shoes in larger than normal sizes and in uncompromised styles. This list contains my 7 favorite stores with big and tall men’s shoes – with guidance on sizing, prizing range and shipping details. Hope you find a new pair! Shoes.com offers thousands of shoes for both men, women and kids. AND they offer sizes up to US 20. Big and Tall Men’s Shoes are readily available in categories like athletic, boots, sandals, loafers, sneakers and many more. Shoes.com offers free shipping and often discount codes slicing down their prices even further. Take a look and see if there’s something for you in there. UPDATE: Because of GDPR, Shoes.com cannot sell to Europe anymore. This is super sad, but as an american, you can still buy big and tall men’s shoes at this store as usual. Hope they open up for all markets again soon. Asos has some neat collections of sneakers, boots and casual wear. You’ll find sizes up to 12 and 13 easily, but beyond that is harder to find. That’s also why Asos isn’t really a dedicated retailer of Big and Tall Men’s Shoes. But I put them here at the top, because I love Asos and do fit in a size 12. The styles they have a pretty young and fresh, so if you are looking for shoes that don’t look like they are specifically made for tall or large guys, then feel free to browse through their selections. Asos also has an awesome selection of clothes for tall men, besides selling shoes in larger sizes. Check it out if you like the overall Asos style. They have more gentleman like stuff; classy and dapper. It’s all about leather at Destination XL, and they fit perfectly with finer clothes when going to a wedding, to a job in a bank or something like that, or maybe paired with something a little more casual to tone things down. It depends on your personal style of course. They call their shoe styles for big and tall Wingtips and Oxfords – they even have a few stylish boots also in leather. The colors being offered are mostly browns and black, so if that’s what you’re after, then you’ve come to the right place. However, you won’t find many casual sneakers and the like in here. Then you want to turn to Shoes.com or Asos above. Shoes XL has a vast collection of shoes for big and tall guys and offers everything from casual to dress to athletic and much more. You won’t be disappointed with their diverse selection of sandals, boots and slippers. You will find all the BIG brands there. Sales are occasional too and as far as I can see, they ship their shoes, boots and slippers world wide, so o excuse to walk around in too small shoes. Destination XL is by default a Big and Tall brand – they have just extended their big and tall range to also include big and tall men’s shoes to a degree where they are probably some of the best retailers out there catering for all us with big feet and need shoes in larger sizes. Swing by to get some inspiration on what to wear for the next couple of months or years. KingSize has all kinds of shoes and clothes, but I think their big and tall men’s shoes selection is worth a mention here. Whether you want casual or shiny, they have good and reasonable prices so there’s a lot to choose from. All these stores with shoes in larger than average sizes kind of blend together when describing them here, so my best recommendations on finding large shoes you like is to open up all the links in here and go with your own preferences. KingSize also does the same as Shoes .com where they – because of GDPR – don’t sell to Europe. But as with Shoes, you can shop as much as you want as long as you don’t live in Europe. Walktall has the best layout of their webshop, and that means a lot too. It’s easy to find your way around the huge collection of big and tall men’s shoes – check it out, it surely surprises you. Sizes as big as US 18 can be easily found there, so no excuses about sizing in there – that’s for sure. 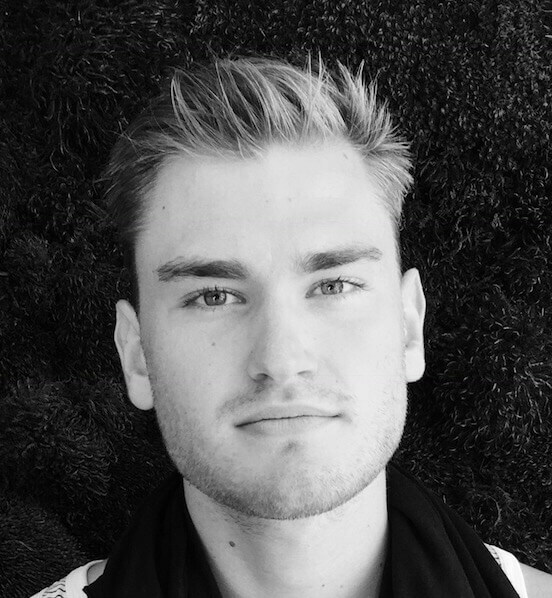 It’s UK’s number ONE for tall guys, and I wanted to include it in here as we have been looking at quite a few shoes stores focusing on big and tall men’s shoes for the American market. And yes, they ship to other countries as well so don’t miss out on this great shoe shop for all us with large feet. Now here we have a lot of interesting kinds of foot wear too. But one down side is, you won’t be immediately able to filter the shoe sizes every time. But hey, you can find the ones that appeal to you and check with the size range afterwards. The designs are what I would call American, as the look is more toned down, plain and subtle for both the shoes and boots. If that is a style you like, then go have a look at the shoe selection, Belk has to offer. It’s a good online retailer with great reviews so I wanted to include it here on my list with big and tall men’s shoes. Shoebuy is part of Shoes.com, so if you are a European citizen, you won’t be able to shop in here. And that is a shame, as they have awesome selections in shoes for big and tall guys with large feet as well. Don’t be scared by the not so friendly interface that will hit you at first. It’s only a poorly designed layout, but the filtering system is a huge thumbs up. Enter your size and hit search. The shoe variety won’t disappoint you and now you know that you only see the styles that fit your large feet – pretty cool in my opinion, and very time saving with such a big selection of shoes and boots. Don’t lose hope! We have seen some tall men who dress up amazingly and manage to look more than proper – also when it comes to shoes for big feet in men’s sizes. Specialized stores specializing in big and tall men’s clothing what to do – they don’t just extend current styles and leave us at that. No, they design specifically for our taller frames or larger waists, so the clothing becomes fitted for our body types. This is Banana Republic. Their clothes and shoes have close to perfect fit and there is zero weirdness about them. This is what we are aiming at with shoes as well. No bumping up current designs – no we need the manufacturers to think along new lines and design big and tall men’s shoes for our specific needs. First of all, all smart guys know their body and feet measurements quite well. They make use of these to select the perfect clothing or shoes for them. By this, we obviously mean “the individual sizes” and not some generalized sizes of tall men which stores have. This can be easily done with a measuring tape. Now apart from visiting stores on a regular basis for buying your particulars, an easy way to buy your desired big and tall men’s shoes or tall men’s clothes is via online stores with tall people’s clothing – a convenient and quick way to find all the best tall clothing there is. We’ve already talked about the importance of correct individual measurements and how they affect your shopping regime so here’s a video for your convenience, relating to clothes in general. More about big and tall men’s shoes below. Here’s another short and great video that explains how you can measure your own feet to use when buying big and tall men’s shoes. This will greatly improve your chances of finding the right shoe fit when shopping online. Different webshops use different size charts, so knowing your own particular measurements is crucial for finding a shoe that fits your particular foot. The tips discussed in the video will allow you to measure your foot correctly prior to placing your desired order. All you need is a measuring tape. The first important thing is to make measurements in the evening since your feet expand a bit later in the day and shrink back at night when you sleep. Secondly, put on socks while doing that because you will probably be wearing socks when you put on your shoes. Make sure to wear the kind of socks you normally use. Now, use the measuring tape to measure the length and width of your foot.. Use it to compare with standard sizes. You can use the conversion chart given below. I have a few tips that I want to share with you on what you can look for when choosing the style of your footwear. Of course, it is completely up to you what kind of shoes you like, but I still want to put forward some tips that can be useful if you want to consider the size and looks of your larger than average feet. Dialing that look of size down a bit is something that can be done, if making a few deliberate choices. Go for darker colors. Dark colors will appear less voluminous than white and other light colors do. Same goes for clothing – going for darker colors or just plain black will make you and your big feet appear smaller. Avoid heels. Look closely at all the pictures provided for each shoe. Take a good long look at that heel. Consider finding another style if the heel of the shoes you are looking at adds several inches to your height. Or not – own your height and choose heels if that’s what you want. Just something to consider. Go for detailing. Shoes that are designed with a good amount of detailing will appear more proportionate than sleeker, plainer shoes. Shoes with big surfaces without stitching, linings, brands or laces will appear large in the eyes of others. If that’s something you want to avoid, then choose shoes richer in detailing. These are my 3 rules of thumb, when searching for big and tall men’s shoes and buying large shoes for myself. Use them or forget about them – I’m certainly not telling you to bow your head and try to appear shorter for other’s sake. BUT if it makes YOU feel better – using these 3 tips will make your large feet appear a bit more average. Don’t settle with poor fit or look! Make sure that whatever you wear, you FEEL comfortable in it and that it makes you look good too. If you look and feel good, you will circulate the vibe around. Never try to hide your feet under shapeless, too tiny or too large shoes. Same goes with your clothing. Instead, embrace your body as it is made and don’t forget to highlight your best features – be it your huge feet. Happy shopping! Being different always gets other people to notice you. But this is not something to always look forward to especially when the reason behind being different from the others is your “height”. On a true note, a tall person has to deal with a lot! Apart from derogatory comments and comparisons with poles and ladders, another annoying or perhaps insulting dilemma is problems when it comes to clothing and foot wear of tall men. To be precise, clothes and shoes in regular sizes rarely fit us! From encircling in markets to having nothing decent to put on for a formal interview or a casual party, this bizarre situation gets you nowhere if you have those extra inches that prevent you from getting around like an average built, average heighted man. The struggle is real. But wait! — do we have a solution for these problems? Here, in this article, we discussed some of the issues tall men face from clothing and footwear aspects. How we can deal with these issues and what are the best places to shop from without wasting time and energy. First of all, let’s see, what “tall” means on a general note. Now, different people might consider the definition of tall differently. For instance, if you are a five feet, one inch person, then even a person who is five feet, ten inches can seem TALL! So, a better approach to get this definition right is to look at a man with average height. But, it’s pertinent to see that this very scenario changes worldwide. Let us take a look at “tall” of different countries around the globe. For Spain, it is 5 feet 10 inches, Russia and Hungary have it around 5 feet 9 inches. Denmark, on the average has tall men up to 6 feet. For Belgium, it’s 5 feet 10 inches as well. 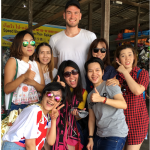 In the UK and other European countries, tall men have an average height which is similar i.e. around 5 feet 9 inches. In the US, the average is 5 feet 9 inches too. For South Africa, it is 5 feet 6 inches. Japan and China have an average around 5 feet 7 inches. As we can see from the statistics, “tall” varies worldwide. A few decades ago, 6 feet and above were considered the tallest. But gradually the trend we suppose is changing. 6 feet plus is no more a standard for tall men nowadays. This in itself is a problem too. You see, if you are tall, there is no consistent criteria as to what defines you to be tall. Tall people don’t just differ with respect to height, their feet are on a constant watch too. Then there is this category that’s average in height or even short but when it comes to their feet, they are the never ending sort – No exaggeration here. 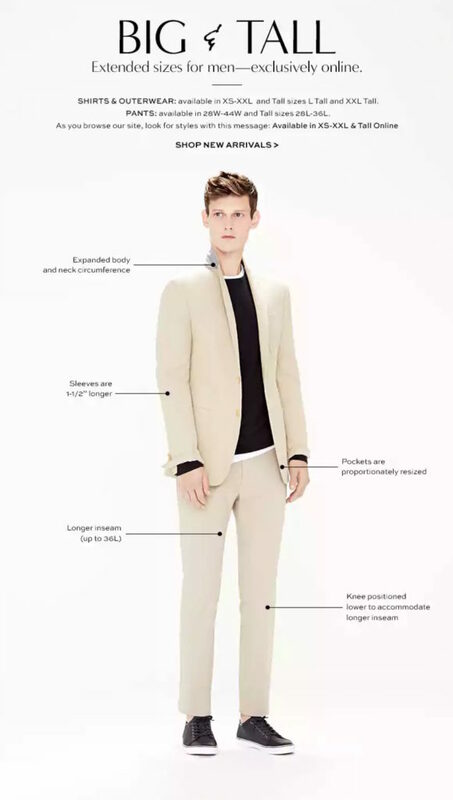 First things first – if there is no proper definition of “tall”, then how can we expect the manufacturers of clothes and shoes to manage the whole thing? The answer to this question is “They don’t have to manage it!” Markets around us are a confusing place to be and this confusion has turned into a deep rooted dilemma for the tall. Now, in your opinion, how many tall men have visited a clothing or a footwear store and found their desired size? They try the piece. It kind of looks just OK. Then they stretch the shirt up and half their tummy is on a blatant show. Or they bend down and guess what happens? Half of their back is visible. Is that appropriate? 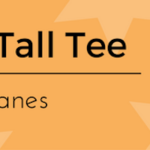 According to the store management, the shirt might have been included in the category of “tall” but in reality, it’s just a normal sized piece of clothing with just a couple of inches added to it in order to create their range for tall guys. It does no good, does it? Leaves one helpless, poorly dressed or may be simply lost! Don’t expect something different to happen in case of shoes – for tall people or for people with larger than average feet! Same is the case with pants and jackets. There are sleeves that never reach where they should or trousers that always show the ankle. That’s not how a decent man would like to dress up! Things can get even messier, if the tall person is also a ‘plus size’. Most of the times, it ends up being fit over the stomach but flashes half of the arm. Many variables at play here. Another category of tall men is the ‘athletic’. They are not huge but obviously a bit bigger than an average built guy. These poor guys fall between the pluses and the averages which is yet again a rare category. I myself fall in this category, which means that close to no brands are made for my body type. A place to go is tailor made t-shirts from Son of a Tailor or the like. But ‘off the rag’ clothes is nearly impossible to find. Same with shoes for most big and tall guys. I’m pretty lucky as my foot size is 12 or 46 in european sizes. This is the maximum sizes that regular shoe stores normally hold. So I don’t have to buy big and tall men’s shoes myself so often. But the times I have been looking for shoes in larger sizes than normal, I’m always going for shoe shops with designs similar to the regular online shoe retailers. I don’t want to buy shoes that look like they are specially made, even though they are. Shoes for big men with large feet and tall guys with these large feet don’t want to be alienated like that. So retailers of big and tall men’s shoes have to look to brands such as Nike, Adidas, New Balance, Ecco for sneakers and more traditional ones for dress shirts in large sizes – and go with those designs for a start – just made for big feet. 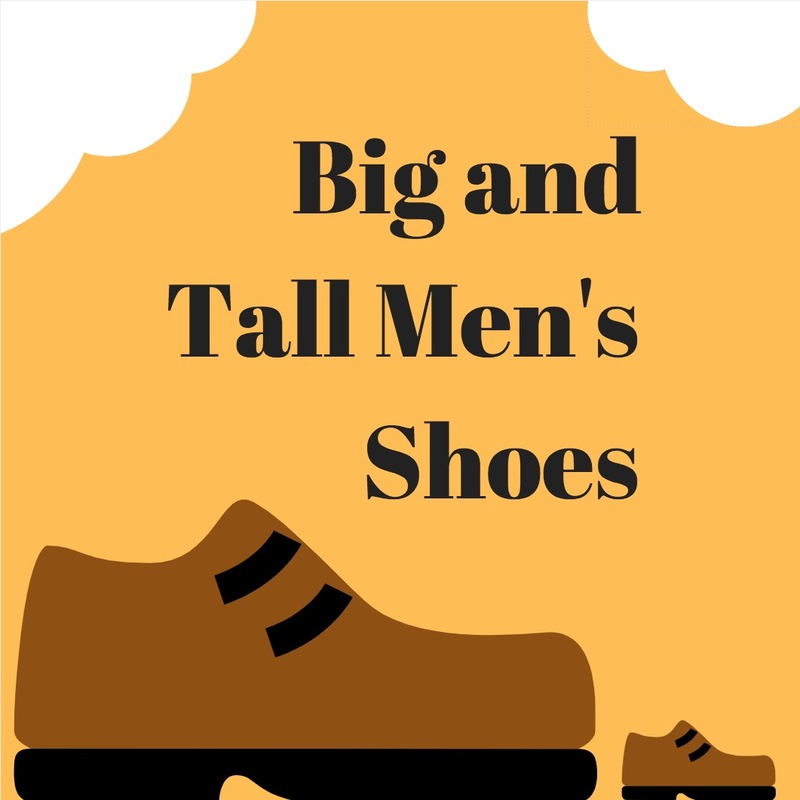 Okay, that’s all for me about big and tall men’s shoes for now – I hope you found yourself a new pair that you like, or maybe even a new favorite shoe store to return to the next time, you need new boots, shoes or sneakers. This list of shoes for tall men is curated by Tallsome and based on personal favorites. 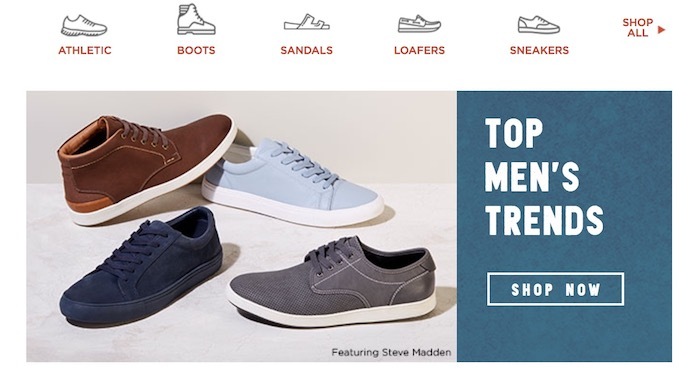 I urge you to browse through the above stores offering big and tall men’s shoes – as well as the full list of stores selling Tall Men’s Clothing. This is a great list of men’s big shoes! Being 6’7″ (201cm) and wearing a shoe size 15 (US) / 50 (EUR) it’s tough finding shoes in your size. Thanks also for sharing your insight about shoe sizes and height, very interesting read! Where can you find fashionable shoes that don’t add any height?